Those of us who love the 1689 Confession love it because we love the Scriptures. Far from denying or competing with the authority of Scripture, a historic biblical confession such as the 1689 actually promotes and confirms the Scriptures as our final authority. If there is any doubt in our minds, the confession removes it in the very first line: “The Holy Scripture is the only sufficient, certain, and infallible rule of all saving knowledge, faith, and obedience.” But the confession affirms more than the authority of Scripture. It affirms that these authoritative Scriptures actually teach specific doctrines. The authoritative Scriptures will do us no good if we cannot say what they actually teach. The confession expresses the conviction that the Scriptures deliver to us a coherent, life-altering body of teaching—the faith (Jude 3). Pastors are called to preach the Word—to restate, interpret and apply God’s Word—and not merely to read it. A creed or confession of faith is little different from a sermon in this sense. It is a restatement of the Word for a particular purpose—in this case to summarize the overall teaching of that Word on various topics. To the degree that it expresses the doctrines of Scripture accurately, it is an expression of the Word just as accurate preaching is said to be an expression of the Word (2 Tim. 4:2). In fact, the impulse to compose confessions of faith finds biblical encouragement by the example of brief confessions quoted in Scripture itself (1 Cor. 15:3ff, Eph. 4:4–6, 1 Tim. 3:16). Though similar to a sermon in one sense, a confession has at least one important difference. It is usually produced by many godly minds deliberating over a long period, and it has been further reviewed and accepted by a group of churches. As a result, a confession is often more precisely crafted and more thoroughly examined for accuracy than an individual sermon. A confession is a tried and true teaching tool. It lays out the faith in a clear, systematic way and shows the connections among doctrines. It also serves as a standard by which teaching in the church can be measured. An overseer “must be able to give instruction in sound doctrine” (Titus 1:9), and a deacon “must hold the mystery of the faith with a clear conscience.” (1 Tim. 3:9) Hearing an officer merely quote the Bible does not tell us whether he understands the overall teaching of Scripture on a subject. A confession gives us a tool for evaluating his understanding and teaching in summary form. Though we may agree that confessions in general are useful, why would we use this particular confession? Why not a freshly written statement instead of a dusty old confession that is over 300 years old? First, the age of a confession should commend it rather than condemn it. Truth does not change. If the confession was accurate when it was composed, then it is accurate now. Those who hammered out the confession were men of a different day—men who had been refined by the fires of persecution. These were no arm-chair doctrines to them but a living faith that had stood up under trial. The men who first owned this confession were not those who were likely to bow to the spirit of the age—not their age and certainly not ours—either in their doctrine or their lives. We now have the advantage of over 300 years to have examined the doctrines of the 1689 Confession and to see its outworkings in the lives of churches and individuals. This confession more than any other in Baptist life has stood the test of time. 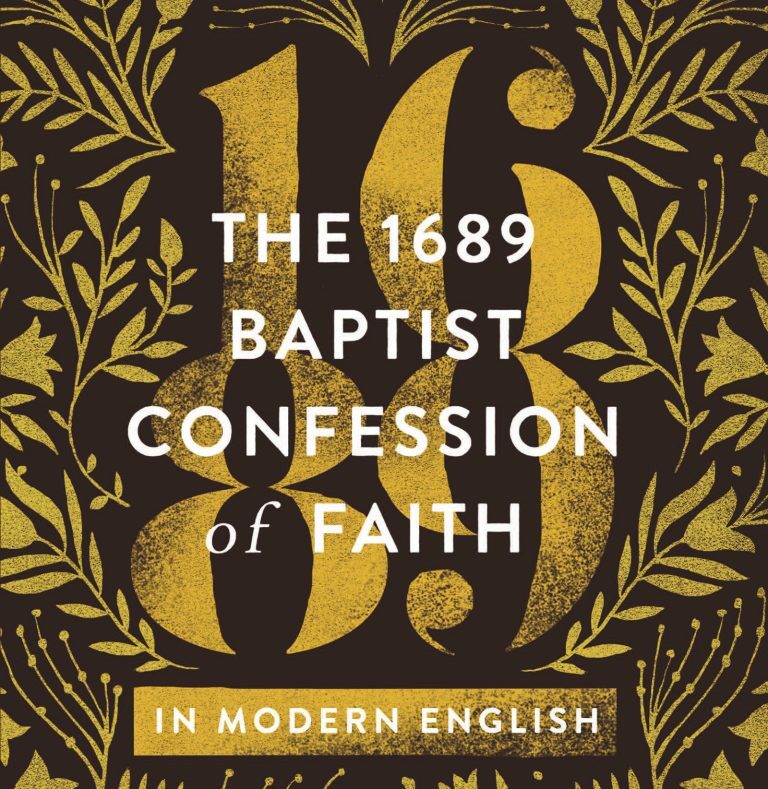 The 1689 Confession is the most mature statement of theology that has found broad acceptance among Particular (Calvinistic) Baptists. It is based broadly on the Presbyterian Westminster Confession of Faith (WCF). The WCF was hammered out by 121 divines who labored daily for two years (1644–1646) to express the doctrines of Scripture as understood in the light of the Reformation. The Independents followed in 1658 with the Savoy Declaration, a revision of the WCF that reflected their independent form of church government along with a few other changes and additions. The Baptists, finding the Savoy to be closer to their views of church government, modified this confession in the area of baptism and made further refinements. Their confession was composed and published by the Particular Baptist churches of England in 1677. It was subsequently adopted by a national assembly of Particular Baptists in 1689, giving it the nickname that is often used today. Thus, this confession had the privilege of standing on the shoulders of the giants of the Reformation and Puritan eras and the advantage of 31 intervening years for its authors to study and refine the statements of the WCF. This confession was able to express the common faith Particular Baptists shared with others having a Reformed heritage and also articulate their distinctive doctrines. The 1689 Confession has been in continuous usage since it was written. It was used widely not only in England but in America, beginning with the Philadelphia Association. The same confession was used in the South, and with one additional paragraph it became known as the Charleston Confession. The 1689 Confession was the confessional statement of the church or association of every one of the 293 delegates who gathered in Augusta, Georgia, to organize the Southern Baptist Convention in 1845. It was also the doctrinal statement that Charles H. Spurgeon used in his church. At one time, it was so widely used that it was referred to simply as The Baptist Confession. The Abstract of Principles of two SBC seminaries is self-conscientiously an abstract or summary of this confession. Such a time-tested statement of biblical doctrine can give us clarity beyond our present level of study. Here is how it works. As we study the various doctrines articulated by the confession, we find that the confession faithfully summarizes the teaching of Scripture in these areas. Then we realize that countless godly pastors, theologians, and churches sharing these same convictions through the centuries have held that they are part and parcel of a biblical system of doctrine that is summarized by the confession. Through this process we become increasingly confident that the parts we do not yet understand are just as biblical and mesh well with the parts that we do understand! This is a wonderful blessing to impart to new believers and those who are still investigating some aspects of our doctrine. 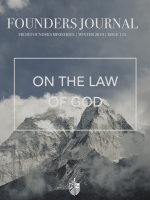 There is safety and wisdom in beginning with a theological foundation reflecting the tried and proven faith of a large body of God’s people rather than the relatively untested opinions of private individuals. I have long wanted to update the language of the 1689 Confession to make its blessings more accessible to modern readers. I am thankful for other modern versions, but I have also wanted to produce a version that is at the same time affordable, consistent and modern in style, and meticulously careful in preserving the meaning of the original. I have approached this effort with fear and trembling. Above all, I have wanted to preserve the doctrine and maintain the clarity of the original. I have circulated this effort widely and received helpful suggestions and corrections from many people, for which I am grateful. This has not been a solo effort. My goal has been to maintain the structure and language to the extent that these lend themselves to clarity for the modern reader. When the structure or language was archaic, only then did I consider modern equivalent terms or rephrasing. In more difficult cases, I reworked the structure of a paragraph when it could be stated in a significantly more natural way in modern English without compromising the meaning. In one case a phrase was added in italics to clarify the original meaning. I don’t pretend that the result is readable on a sixth-grade level. The concepts in the confession simply don’t lend themselves to such simplistic expression. Furthermore, I have avoided changing well-established theological terms unless I judged that they were obscure and could be greatly clarified by a modern expression. In a few cases the meaning of the original term was unclear, or the term could not easily be rendered by an equivalent modern term. In these cases, I used footnotes. Footnotes in italics indicate the original term. Non-italic footnotes clarify the meaning. We shall conclude with our earnest prayer, that the God of all grace, will pour out those measures of his holy Spirit upon us, that the profession of truth may be accompanied with the sound belief, and diligent practice of it by us; that his name may in all things be glorified, through Jesus Christ our Lord, Amen.